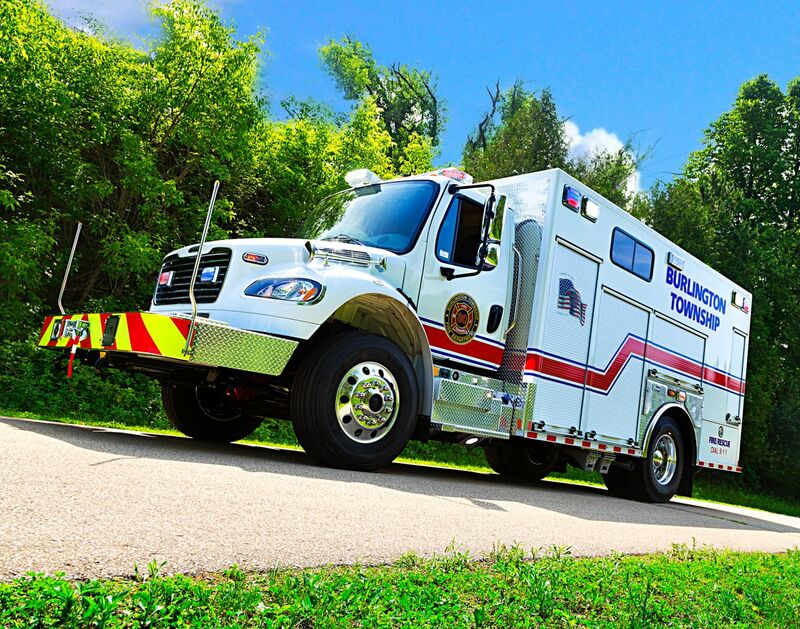 Be ready with an efficient, durable Marion rescue squad. 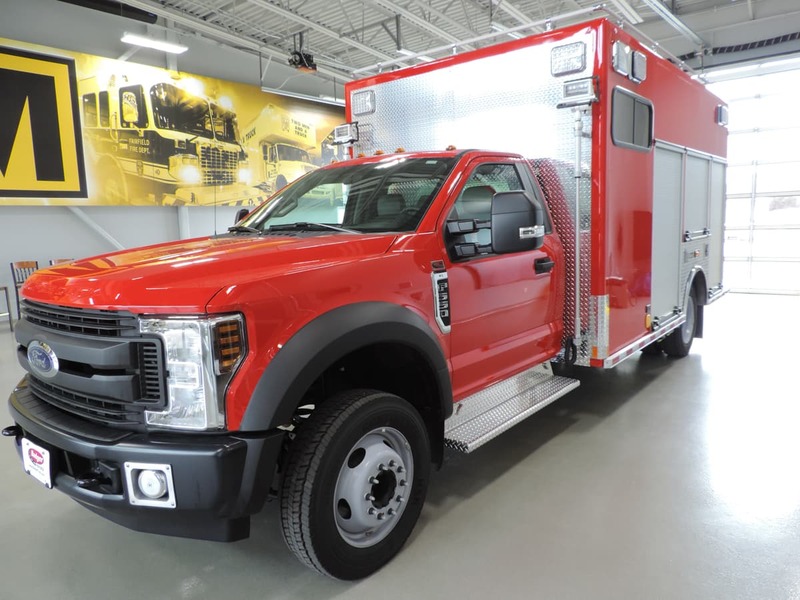 Because every second counts, your rescue squad is customized for what you need. 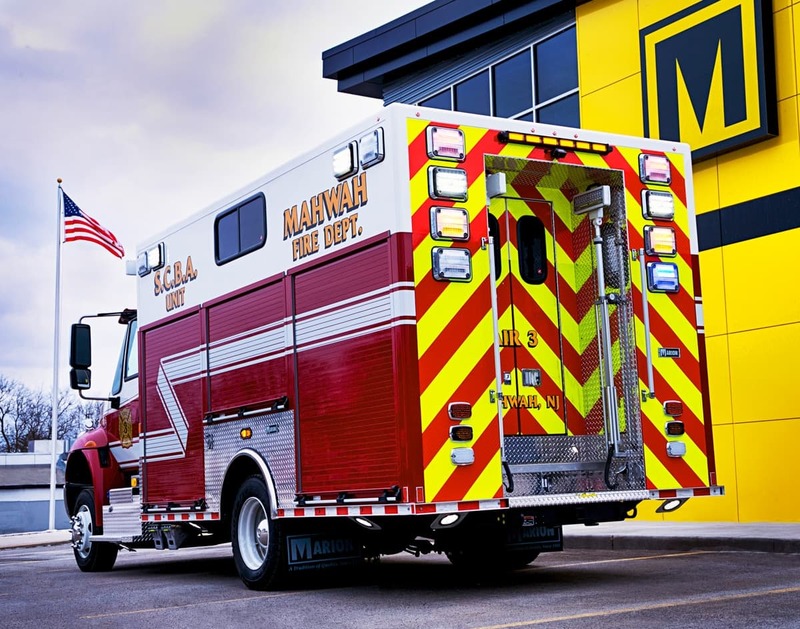 Whether a walk-in or non walk-in, your Marion truck helps you be prepared to handle any situation with confidence. All-aluminum construction provides a lighter body weight, greater payload capacity and unmatched rust resistance. 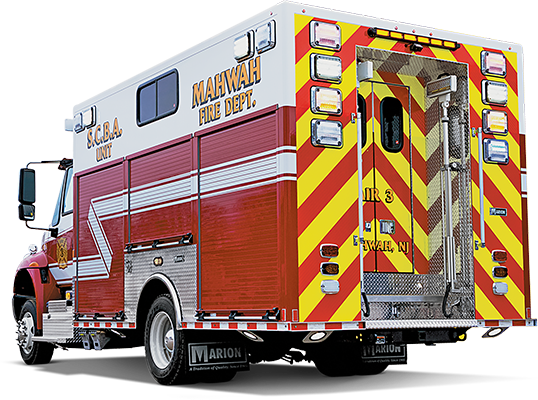 Superior storage—A key to a great rescue squad is its storage abilities. Seamless interior walls and ceiling—This feature minimizes areas on which dirt or bacteria can collect; Kemlite is tough enough to handle high-pressure hot water cleaning. Sturdy cabinets—Made of aluminum, instead of wood or Formica, these interior cabinets won't easily chip or be scratched. Sweep-out compartments—Enjoy ultimate strength when heavy equipment is dropped on the compartment edge and slid in; the floor is 100% welded to the threshold for a truly sweep-out design. Industry-leading warranties—We provide a standard 2-year bumper to bumper warranty. Options that match your needs. Drive assured on a solid foundation by choosing the chassis to form the base of your Marion with a commercial (International, Freightliner, Ford, Kenworth or Peterbilt) chassis. Floors include heavy reinforcement to hold fill stations, cascade bottles and other heavy rescue equipment. Store items where you need them—side compartment walls are a double wall design to allow wiring and components to be recessed; no exposed wiring. Gain access to your truck how you want with extruded flush-mounted or roll-up doors. Hassle-free electrical you can trust with multiplex wiring is standard for easy troubleshooting; "as built” wiring diagrams created specifically for your apparatus. Customize more with a Marion with multiple compartment depth layouts available; wheel well, overhead and slide out oil dry hoppers; custom tool and component mounting; multi-direction tool storage ideas. Elevate your game by subscribing. We'll take care of the rest! ©2019 Marion Body Works, Inc. | All rights reserved. Reproduction without permission is prohibited.